Indexed annuities track indexes such as the Dow Jones Industrial Average. 1. Can Annuities Lose Money? Indexed annuities and bond funds are two types of income-generating investments. Broadly speaking, bond funds and annuities are regarded as conservative investment options compared with stocks and other types of instruments. Despite certain similarities, there are distinct differences between indexed annuities and bond funds. These include fee structures, principal protection and term times. Bond funds are mutual funds that contain thousands of debt instruments or bonds. 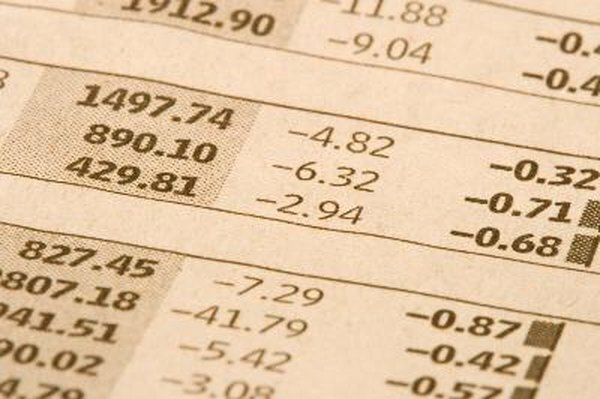 Some funds contain government bonds; others hold corporate debt or mortgage backed securities. Bond funds typically are open-ended, which means you can buy or sell shares at any time. Indexed annuities are life insurance contracts designed to provide you with an eventual income stream. Your premiums are invested in a fund that tracks an index such as the Standard and Poor's 500. Indexed annuity contracts often last for 10 years or longer, and typically you cannot access your money until the contract matures. Mutual fund companies including bond funds normally assess annual fees, and proceeds from these fees are used to cover the fund's operating expenses. You also might have to pay a sales commission, known as a load, when you buy or sell shares in a bond fund. Generally, you do not have to pay any upfront fees when you buy an indexed annuity. However, various types of operating fees are deducted from the contract on an annual basis. Additionally, you have to pay hefty penalty fees if you surrender your contract before the maturity date. Bond funds do not guarantee principal protection, and shares in these funds fluctuate on a daily basis. However, the underlying bonds in the fund should return to par value upon maturity, which means that bond funds are less prone to price fluctuations than stock funds. Share prices for conservative government bond funds tend to remain steadier than shares in riskier mortgage-backed bond funds. Indexed annuity contracts often include principal guarantees in the event that your contract loses money over time. However, in many instances the annuity company guarantees only 80 percent or 90 percent of your original premium. When you buy a conservative bond, fund your holdings might grow at a rate that lags inflation. This means you lose spending power over the course of time. More-aggressive bond funds often contain risky "junk bonds." These debt instruments are issued by entities that have poor credit ratings. Share prices of junk bond funds are highly volatile, which means you have greater growth potential as well as more exposure to risk. When you buy an indexed fund, you receive the upside when a stock index rises, without losing all of your investment if the index crashes. However, your returns are usually capped, which means you do not get the same level of return that you would if you invested directly in the index your annuity tracks.